Cosplayer are also referred to as costume players. It is an activity which has been made a hobby by many people. In this activity, the Cosplayer involved put on costumes and matching accessories to imitate a certain character. Cosplayers have a role of depicting a certain character in various events and venues apart from the acting stage. KIGURUMI is a type of pajamas that has also been used as costumes. Among the costumes is PIKACHU KIGURUMI ONESIE. It has been widely used by COSPLAYERS as their costume choice. It is a combination of two Japanese words namely KIRU (meaning to wear) and also NUIGURUMI (meaning stuffed toy). It is a type of pajama made to look like a stuffed toy. This name was traditionally used to refer to the Cosplayers, however, with its growth and popularity, it was later used to refer to the clothes. The Japanese have been seen wearing the KIGURUMI costume as pajamas and as every day casual dressing. •These outfits are made of comfortable fabrics hence making it the best choice for Cosplayers. You can rock the outfit the whole day without feeling the need to remove it. •In case of winter season, the polyester fleece, used to make Pikachu KIGURUMI ONESIE costume, will be able to make to keep you warm and also comfortable. However, you can also rock indoor parties with this costume by undoing some of the buttons. •Some costumes are made of lighter materials hence making this costume ideal for summer. This comes in handy for Cosplayers attending outdoor parties and events. •These outfits also come in various sizes fitting different Cosplayers be it adults, children or even the youths. The costume you state in your description will be custom made according to your size. •These costumes can be washed using washing machines. Thus if you have multiple events to attend you can still put on the costume again. You do not have to also worry about losing the costume shape because it is retained after washing. 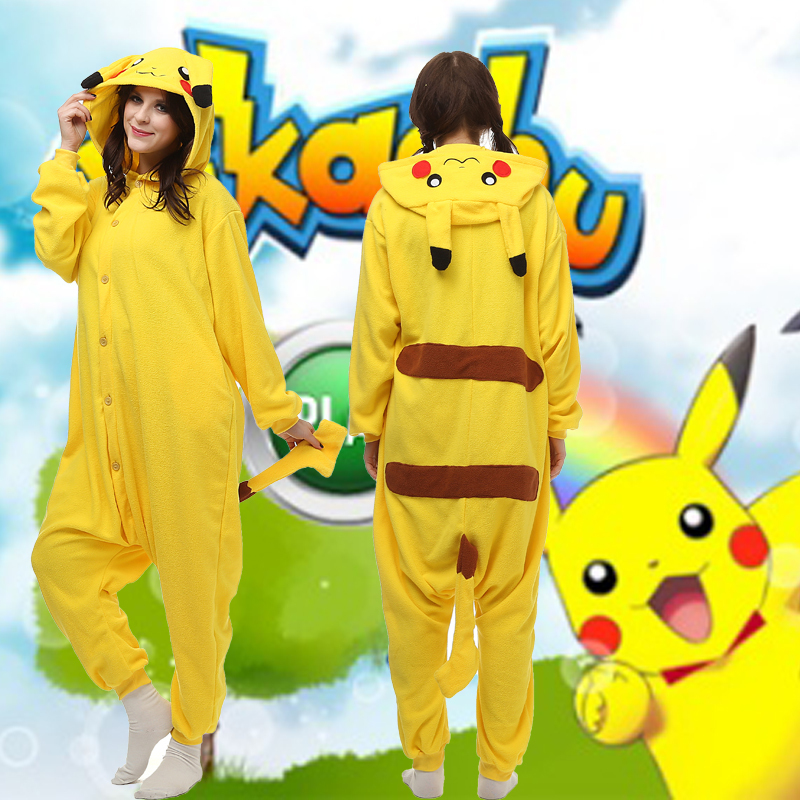 •PIKACHU ONESIE costume can be made to suit your character. One of the famous Pikachu pajamas is the POKEMON Pikachu. •One other important thing to note is the prices of these costumes. They are offered at a very affordable prices. •Most Pikachu pajamas are unisex. This means that both a male and a female can easily get the type of costume they desire. 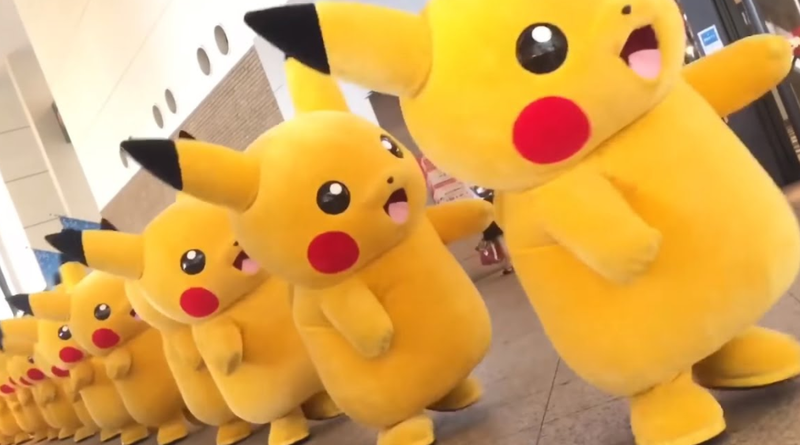 Some other reasons why Pikachu KIGURUMI ONESIE is good for Cosplayers is their attractiveness and also the material used to make the costumes. The materials are of high quality and are also comfortable. They are offered online and you can make your order. Quick delivery of this product is also another reason you should choose it as your costume.